Large capacity coins pocket/ change pouch. 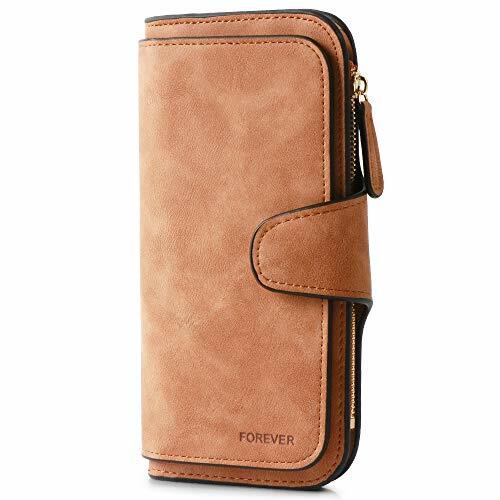 Internal structure: 2 photo slots, 14 card slots, 5 cash compartments, 1 zipper coins pocket. 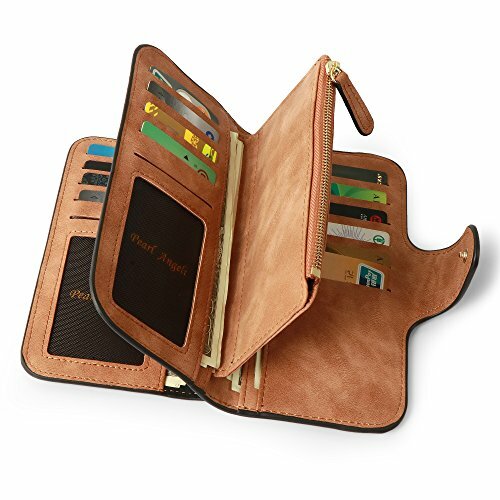 It’s easy to hold your credit card, ID card, passport, business card and checkbook. 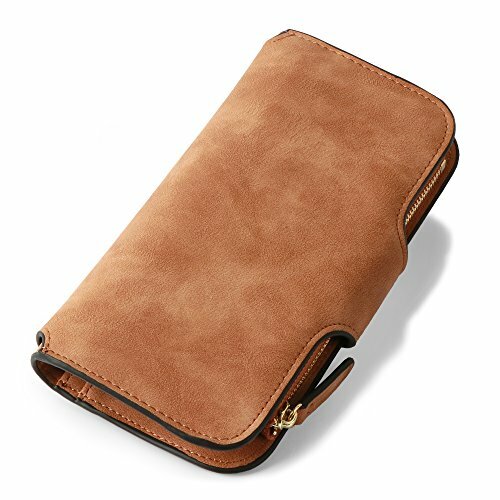 Made of high quality PU leather. 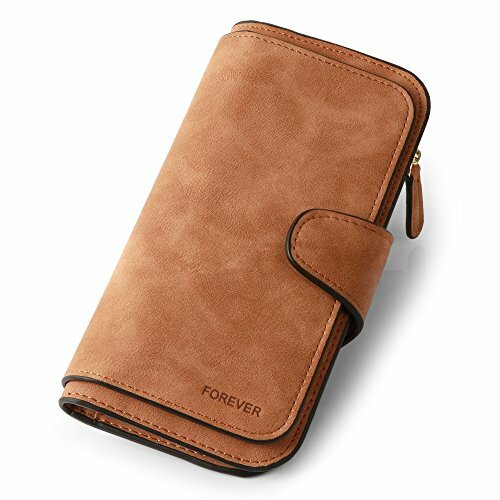 A small wallet with zipper coin pocket and credit card slots. Dimension: 7.5*4.1*1.2 inch/19*10.5*3 cm(L*W*H), weight is about 0.35 lb/160 g. It is the small size you can simply hold it on hand or put it in bag. Large capacity zipper pocket for coins/changes. 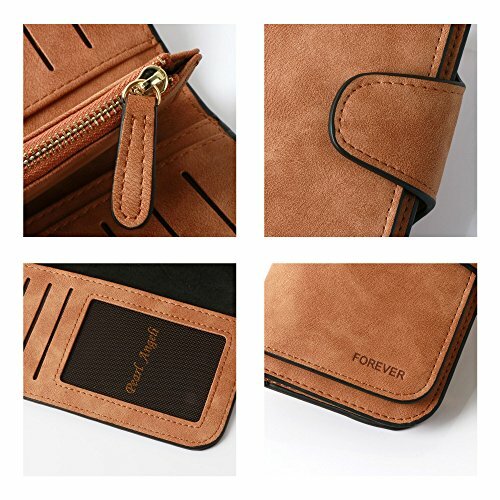 Internal structure: 2 photo holder, 14 card slots, 5 cash compartments, 1 zipper pocket. 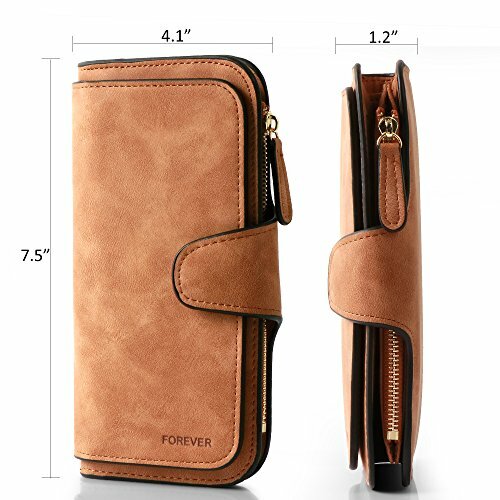 It’s large capacity but small size, so you can carry your credit card, ID card, passport, bank card, business card, cash, coins and checkbook in this wallet. Simple, stylish and elegant. 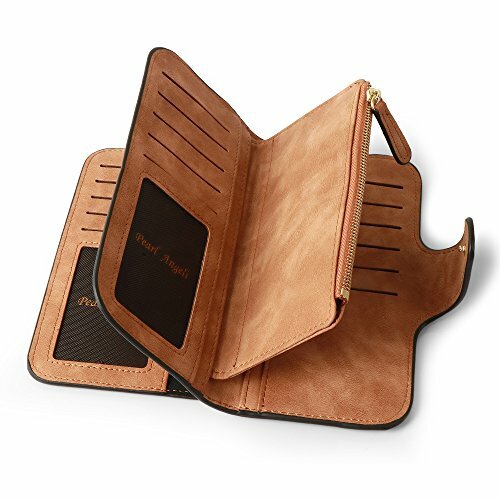 For the fashion design and high quality workmanship, this wallet will be a great birthday gift/Christmas Day gift for the one you love.